The Android Oreo update is ready for users and will make its way first to the existing line of Pixel smartphones, and the latest Nexus smartphones, i.e., the Nexus 6P and Nexus 5X; the updates are reportedly in carrier testing phase for these devices as of now. Google, unveiled the latest version of Android in a very clever way synchronizing with the Eclipse, the company also revealed the Statue of the Android-Oreo like it does every year with every Android version update. Android 8.0 Oreo update brings tons of new features along with completely refreshed design like the Android Wear 2.0 and several under the hood improvements which enhance the overall Android user experience. Android 8.0 Oreo update comes with tons of new emojis, the emojis look enhanced and are better suited to express yourself in every mood. The update comes with Picture in Picture mode which allows several applications such as Netflix, Youtube, etc. the functionality to play in the picture in picture mode when minimized.More 3rd party apps will be able to take advantage of this feature in future. The App badges have been upgraded, and now whenever there is a notification, the App icon will show tiny dots to inform the user about the received notification.The notification can now also be viewed directly from home screen only by long pressing the App icon. Android Oreo comes with Smart text selection feature which enables the user to select the relevant text such as Adress, Phone number, etc. by just double tapping over the whole text.Selecting an address will give you an option of navigating to it, and in the case of a phone number, you will be easily able to dial after selecting the number. You must have probably heard this term while using Chrome browser where the browser automatically fills your details if you have saved them earlier. Now with Android 8.0, several third-party apps will be available to take advantage of this function as well with the help of a user set Master password; also you can use your fingerprint sensor as well. Android Oreo comes with Google Play protect feature which will keep in check all the applications that are present in the Google Play Store. Google says that it will reportedly scan over 50 billion apps daily to make sure no malicious app gets installed on a user’s phone. The update comes bundled with “High-quality Bluetooth audio codecs” which will bring a significant change in sound quality while listening music via a wireless audio device. This move will further push the removal of the headphone jack in upcoming Android smartphones, and there is a fair chance that even the upcoming Pixel phones may not have a headphone jack. Here is the list of expected devices company wise which will receive the Android Oreo update officially. The Android 8.0 Oreo update is available on the Pixel devices and latest Nexus devices and the latest Pixel 2 and Pixel 2 Xl smartphones are already running the developer preview version of Android Oreo 8.1. Samsung won’t be late to push the update to its flagship phones once the update is officially released.The company has already released the Android Oreo beta update for the Galaxy S8 and Galaxy S8 Plus. Here is the list of Samsung phones getting Android 8.0 Oreo update. Galaxy J series of 2017 will receive the Android 8.0 Oreo update. Here are the Samsung devices which won’t receive Android Oreo 8.0 update. Motorola has been quite slow with the updates ever since Lenovo acquired the company, the Nougat update reached the Motorola devices pretty late, and the same will be the case with the Android Oreo. Here are the Motorola phones that will receive the Android 8.0 “Oreo” update. Here are the Moto devices which won’t receive Android Oreo 8.0 update. Here are the LG devices which won’t receive Android Oreo 8.0 update. Huawei seems to be leading the front when it comes to providing the latest Android software updates for its user; the company has already tested the Android Oreo on Mate 9 and the latest smartphones from Huawei that is the Huawei Mate 10 and Mate 10 Pro comes with Android Oreo out of the box. Update- The Android Oreo beta update for the Honor 8 Pro and Honor 9 devices have been released. Asus has a policy of providing at least two major updates for its smartphones and considering the brand’s history of doing the same, a large no. 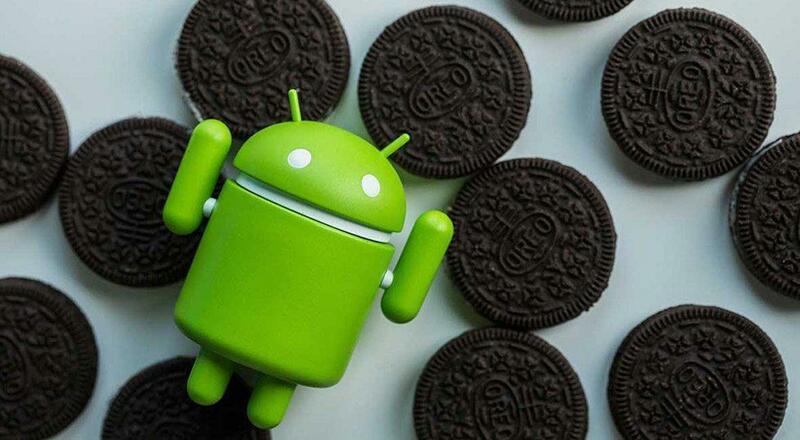 of smartphones will receive the upcoming Android Oreo upgrade. The CEO has recently confirmed that all the Zenfone 3 and Zenfone 4 devices will receive the next Android update before the 2nd half of the year 2018. Here is the official list of Asus phones which will get the Android O 8.0 update. Here are the Asus phones which will not get the Android 8.0 O update. Only a handful Acer devices have chances of getting the Android Oreo update, Acer does not have a habit of updating its devices to the latest firmware. The company hasn’t a launched a single new smartphone in 2017, so the chances of the phones getting the most recent update are quite small. Here are the Acer devices that may or may not get the Android O 8.0 update. Here are the Acer devices that will not get the Android O 8.0 update. Lenovo has a bad record when it comes to updates, the company does not provide timely updates for its devices, but a very few of them do get major updates on time. Here are the Lenovo devices that will receive the Android Oreo Update. The Hyderabad based startup has launched two very amazing smartphones recently, and the company has gone out of the ways to confirm that both of these phones will get the latest Android updates. Here are the Smartron devices that will get the Android 8.0 update. The company may not have had so much success with its latest smartphone, but the company has been spot-on when it comes to updates, the device gets timely Android updates, and the company has had a good past when it comes to updating even the budget devices. Sony falls a bit behind of other companies when it comes to releasing the latest updates for its smartphone users.But the company will be trying their very best this time to release the Android 8.0 Oreo update on time. Sony has confirmed the list of devices that will get the Android Oreo update and has already released the Oreo update for the Xperia XZ Premium.The company will be releasing the customized version of Android for a whole lot of devices, here are the Sony devices which receive the Android Oreo 8.0 update. Here are the Sony devices which won’t receive Android Oreo 8.0 update. HTC has already confirmed the update for its latest flagship devices and the latest HTC U 11 will also be eligible for Android P update as well. HTC has a history of providing updates to its users on time, and even though the company is going through a critical time, the users can expect the latest Android update very soon after the official release. Here are the HTC devices which won’t receive Android Oreo 8.0 update. ZTE hasn’t confirmed the Android Oreo update for any of its devices but considering company’s past the company has a history of providing timely software updates for even its older devices as well.ZTE won’t be disappointing its user when it comes to Android Oreo update, and the users will shortly receive the official Android update after Google releases the update. Here are the ZTE devices which may receive the Android 8.0. Here are the ZTE devices which won’t receive Android Oreo 8.0 update. HMD Global the company behind bringing the Nokia back from ashes has already confirmed that every Nokia smartphone will receive the official Android Oreo update.The latest Nokia device will be one of the many which will receive the Android Oreo update before the end of this year. The company has already been providing several OTA updates to its users in the last few months, and it is quite clear that company won’t lag behind when it comes to updates.The company has already been providing several OTA updates to its users in the last few months, and it is quite clear that company won’t lag behind the competition when it comes to Android O. The CPO has also confirmed that all Nokia devices will get the Android O update. Here are the Nokia devices which will receive the Android 8.0 update. Vivo has been slow in the past when it comes to providing latest update to its users but as the company now holds a significant share of the Indian smartphone market the company won’t be taking that much time to release the latest update for its users. VIVO has also published it’s Android 7.1 Nougat update list. Here are the VIVO devices which will get the Android Oreo 8.0 update. Here is the list of devices eligible for official Android Oreo 8.0 update. 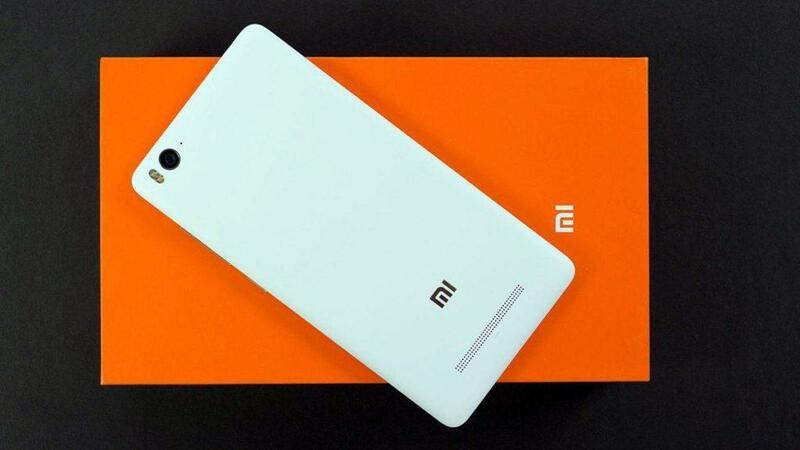 Xiaomi has been a rather slow brand when it comes to releasing the latest update for its user and fans have been quite disappointed in the past. In the Xiaomi’s Android Nougat MIUI 9 update list we have seen a lot of devices are already missing. The reason behind this is the customization of the MIUI which takes a lot of work thus a lot of waiting time for users to get the latest version of Android on their Xiaomi devices.The MIUI has tons of features which make it worth waiting for and here is the list of devices which will be treated by Xiaomi with Android Oreo. OnePlus is also really quick when it comes to releasing the latest update for its devices. Blu makes cheaper devices that don’t get Android OS updates. On the rare occasion that they do. Here are the Blu phones getting the Android 8.0 Oreo update. 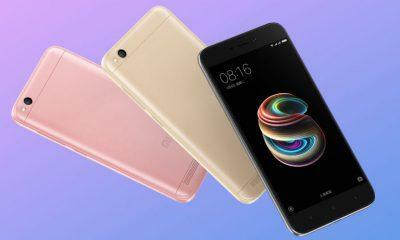 Xiaomi Redmi Note 5 Pro vs Redmi Note 5: Which one should you pick? If you want an exact date or time then we advise you to contact OPPO’s support team. how about the 2018 blu pureview sir?? What about vivo v7 plus and when will be updation come?? Is Tecno Phantom 6 plus able to operate android 8.1? Where is the oppo a57 oreo latest version. Where the link you can provide. . The Motorola Nexus 6 is the baddest phone to ever hit the market. It is a Google phone, yet it is not listed under Google or Motorola. Not much of an information list. To be honest probably not but We are not sure. no asus smartphone or Acer?? Hi Edwin, Smartphones from Asus and Acer have been added now. Hi sir what about vivo v3max? Will this phone get the new os update? According to the source, Vivo V3 Max most probably will not get Android O update. “Sony falls a bit behind of other companies when it comes to releasing the latest updates for its smartphone users.” What? Sony is one of the fastest companies when it comes to the Android updates. There is a new update with the newest security patch every month, sometimes even faster than for Google’s phones. Not only for the newest flagship but also for older models. BTW will HTC 10 Lifestyle receive the Android 8.0 (it’s not the same as HTC Desire 10 Lifestyle)? What about new upcoming LG Q6 and Q8 series? Any information? Hi, the smartphones mentioned by you, the LG Q6 and Q8 have been added to the list after verifying with the sources, these devices will indeed get the update. We don’t have any information regarding this so can’t comment anything. What about Samsung A9 Pro ? How about Samsung A9 Pro ? hi will huawei honour 6+ not get any updates then I take it? Hi Anne, unfortunately, the Honor 6+ will not get the Android O update. 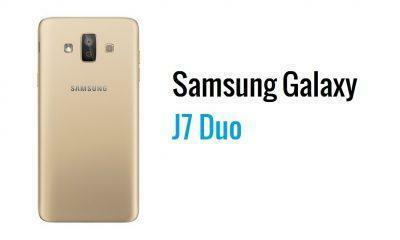 What about Samsung J5 Prime? Everyone please add “smartron s.r.t.phone” which is a Indian brand mobile. The company promised the Android o update, till now no company promised the update but “smartron” promised it. Please try to add that product. For z5 premium, you are surely updating Android 8, but now, sorry? Hi, according to some inside sources it has come across that the Z5 premium will miss out on the update. There are still some chances of the device getting Android O and if anything comes up in this regard, we will surely let our readers know about it. We are sorry, but the phone still has some chances of getting Android O Update. We are constantly updating information here from PR/Official confirmation and comments/leaks. hi the honor 8 just made its year mark this month as of july so how will it not be getting android 8.0 when honor claims to support devieces for up to 24 months in which it hasnt been for the honor 8 just yet. We have no information regarding Honor 8 that’s why we didn’t add the phone. Are You sure that htc u play will gey android 8 ? I don’t fine any info about this and nor even update to 7.0. Hi, the thing is phones with MediaTek SOC are having some issues when it comes to Android Updates, our source mentioned that this device will get the update. We will let our readers know the moment there is some confirmation regarding this. P20 lite is p10 lite? Will p10 lite receive update 8.0 ? Hi, Yes P10 Lite will receive the official update. p20 lite ? Isn’t it p10 lite ? Will p10 lite receive android 8.0 ? Please add smartron srt phone to the list because the smartron company promised to update the phone to Android o. You may have not known about it because it is a Indian brand.please add such type of promising devices and increase it’s market.if u have any douts please Google smartron srt phone. u sure about the z5 premium?? It may get the update but not sure about it. Updated mate, have a look.